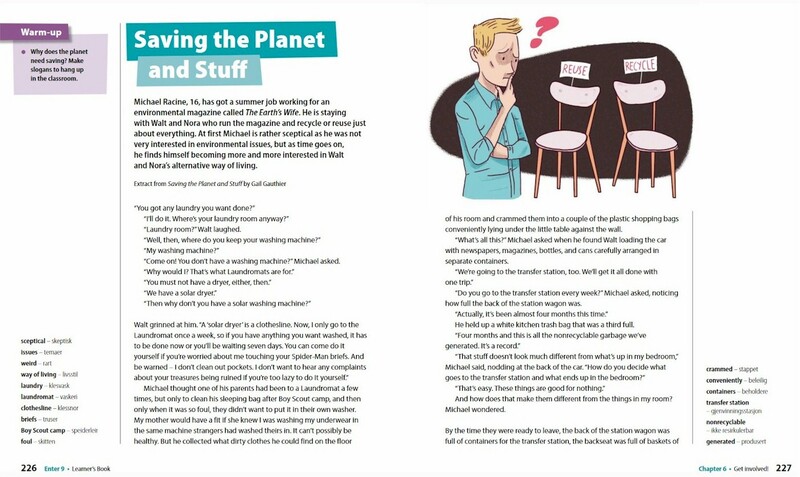 I am sure you all remember that an excerpt of Saving the Planet & Stuff sold to Norwegian publisher Gyldendal Undervisning two years ago for use in a textbook for teaching English. And the company extended the agreement this past winter. 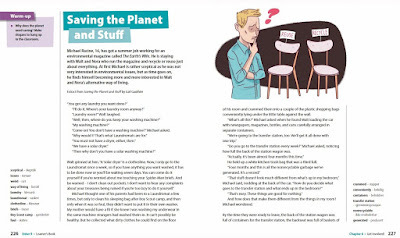 You can get a look at the textbook in which the Planet material appears. You can get a feeling for how the page layout looks below. And, remember, the nonNorwegian Kindle edition is on sale this month for just $1.99.